Daniel Potts of Duplin County, NC and Elizabeth (Betsey) Stevens were married in Duplin County, NC 3 Apr 1794 Marriage Bond. 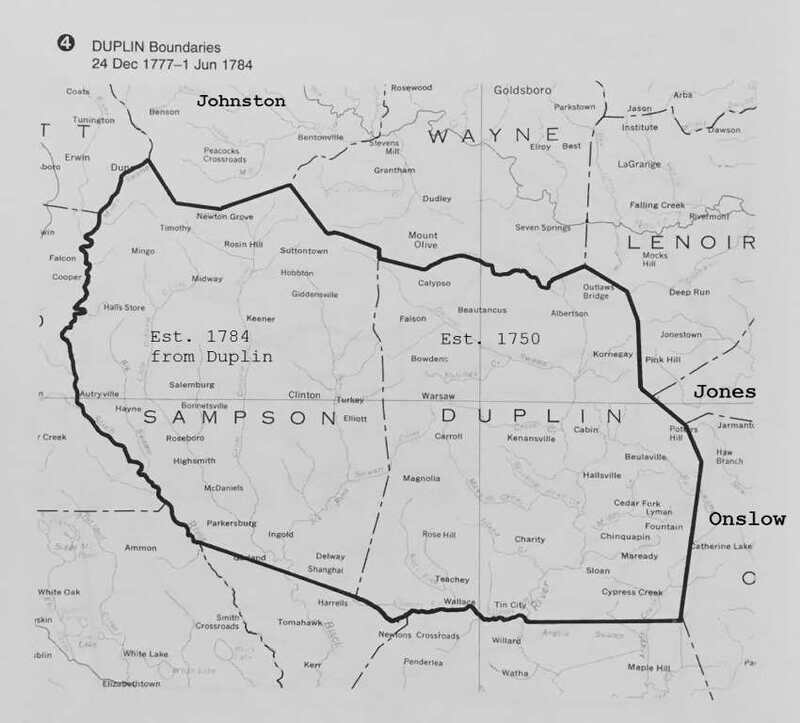 Elizabeth was the daughter of William Stevens Jr. of Duplin. 1788 - Daniel was on the Dobbs County Voter List. 1790 - Daniel Potts appeared in the Wayne County, NC Census in Newbern District as one free white male of 16 years & upwards. No others were listed in his household. Image contributed by Nancy Seefeldt. 17 Nov 1791 - Daniel Potts witnessed deed of Richard Bass to grandsons Uriah and Thomas Bass. 16 Aug 1793 - Bk T-1:70 - William Bulls to Gilford Bulls Braddy, � for 118 acres on NS Neuse River, adjacent to Henry Bull's line, his own corner, Ann Gurly's line, Henry Bull's line, to his corner. Wit: John Whitly, Daniel Potts. August Court 1793. 25 Aug 1793 - Bk T-1:84 - William Bulls to Gilford Bulls Braddy, � for 138 acres on NS Neuse River, adjacent to Joseph Boon's corner, Boons Slough, Needham Whitly's line, near Henry Bulls corner, near the Round Pond, Ann Gurley's line. Wit: John Whitly, Daniel Potts. August Court 1793. 6 Nov 1793 - Bk U-1:124 - Joseph Boon Jr. to Jesse Hayse, � for 30 acres beginning at a hickory on NS of the Slough which appears to be an old corner, with the course of Joseph Boon Sr. and said Hayse's fence as it now stands to the run of the Slough, down the run of said Slough to Joseph Boon Jr's line, Ratliff Boon's corner. Wit: B. Stevens, Daniel Potts - Asknowledged February Court 1795. 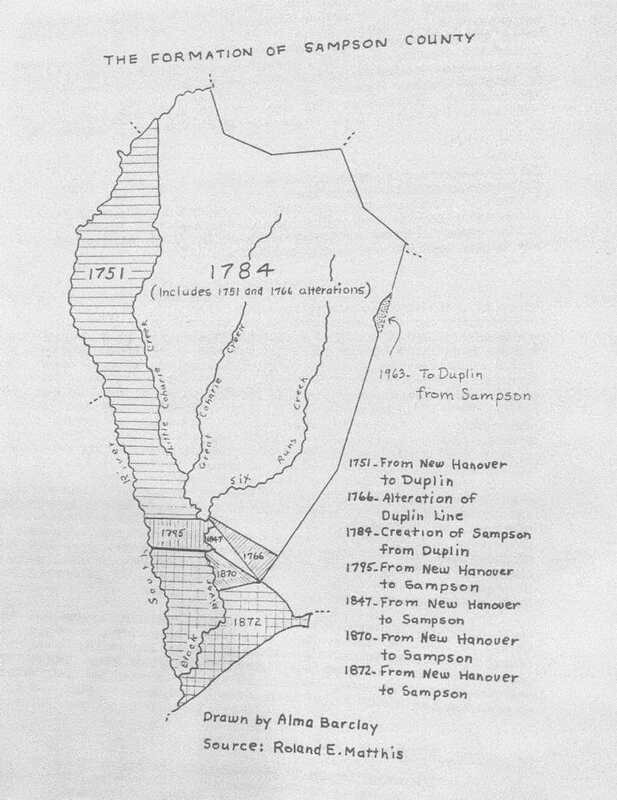 20 Jan 1794 - Daniel mentioned as neighbor in deed from John Beck to William Whitfield in Duplin County. Deed Images. 19 Jul 1795 - John Beck Deed to Daniel Potts (of Johnston Co, NC), Sampson County. (This property was in Duplin.). 9 Feb 1796 - Road work: Ordered William Whitfield, John Easom, Daniel Potts, Micajah Bell, James Clark and William Williams and their hands work on the new road leading from Snell's Race paths to Daniel Clark's, and work under William Williams as overseer. Sampson County, NC Deeds by Max R. Peterson Jr.
Apr 1808 - Nathaniel Kinnard appointed overseer of the road from Major Smiths place opposite Hugh Simpsons: following hands work: Michael Kinnard, Thomas Garrett, Archabald Garrett, David Shannon, William Hill, David McCoy, William Gravs, Joshua Web, Danel Pots, William Matthews, David Simpson, Nathaniel Renolds, also any person else residing in the bounds where said hands is to be taken from shall be subject to work on the same. 1810 - Daniel Potts, Bk 17-445 #14467, June 24, 1837, 37 1/2 acres, 1� per acre, on Stewart's Creek, begin on elm, post oak & cedar at Reed's NE corner, then N 61.5 poles to a pin oak, then W 99 poles to black oak in Gillespie's line, then S 61.5 poles to hickory & cedar at Reed's corner, then E with his line to beginning, surveyed Nov. 14, 1827. 10 Aug 1811 - Edward Stevens from Lewis Stephens, for $500, a tract of land it being a part of a tract granted by N.C. to Robert Smith, lying on the waters of Hays Creek, a branch of the Big Harpeth, bounded by Wm. Stevens, Frederick Davis and Jonathan Woods containing 180 acres. Wit. Michael Kinnard and D. Potts. Reg. 28 Nov 1811. July 1815 - Johnson Jordan vs Daniel Potts. Appeal. Davis Mason, Saml Shelburne, Jacob Garrett. Deft confesses judgt for $15 and interest 36 cts. Plf recovers also his costs. 21 Aug 1816 - Charles Stevens from Joel Stevens, Lewis Stevens, Wm. Stevens, Benjamin Stevens, John Stevens, Henry Stevens, Edward Stevens, Daniel Potts, John Riggins, Nathan Garner and Michael Kinnard (Jr). The father of the above named son and father-in-law to some of above named gave to Charles Stevens, his son, in his lifetime, 100 acres of land where the said Charles has settled and obtained a kind of deed but said deed not considered to be valid...we the above legatees of said dec'd feel it our duty in compliance to the institution of our Father and Father-in-law, in as much as his intended conveyancy of said tract of land...stake in line of said Charles' garden, Beverly Ridley, containing 39 acres. Wit. Shelby Corzine and Wm. Stevens. Reg. 20 Jun 1817. 12 Jul 1817 - Michael Kinnard from Daniel Potts and wife, Betsey, Daniel Potts, son-in-law of Wm. Stevens, dec'd, and Betsey, daughter of Wm. Stevens, for $150 undivided part of the estate of Wm. 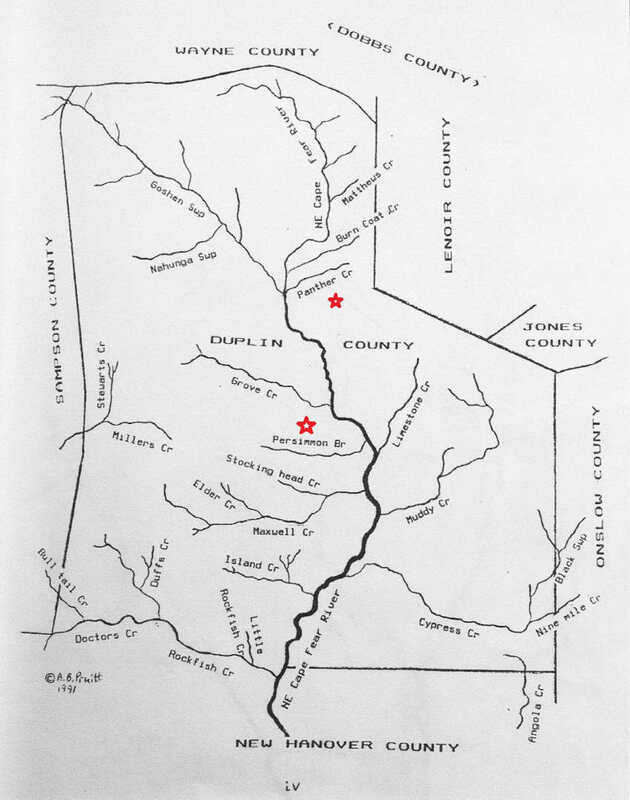 Stevens, it being 1/16 part and part of sister, Luraney's (1/15 part), a tract of land containing 320 acres on Hays Creek of the Big Harpeth, bounded by Frederick Davis. Wit: David Mason and D. C. Kinnard. Reg: 13 Dec. 1817. NOTE: This deed indicates Elizabeth (Betsy) was not the daughter of Loamia and Pherebe Stevens. Neighbors in census: Stringer Potts, John Potts, John Mclery, Elizabeth Jones, John Clark, James Casey, Charles Casey, Charles McBride. Deed from George Jordan to John Duke McClaran 1st mentions adjoining property on Nelson's Creek sold by Peter Young to Daniel Potts, Robert Winsett and David Jones (Jr). 1 Feb 1823 - One years provision for Mrs. __ Manning widow of John Manning deceased. We. John Windrow, Daniel Potts and Audrey T. Haynes being appointed to allow John Manning deceased widow and child their years provision do allow her three choice hogs, seven barrels of corn, one heifer and calf to give milk. Also 25 lbs picked cotton. Signed by Fr. Gillespie, J.P. Rec: 28 Jun 1824. 17 May 1845 - Sale of property of Daniel Potts dec'd by administrator George Potts (would be son George Washington Potts b. 12 Feb 1812, d. 1869) - buyers including Elizabeth Potts - Williamson County, TN Will Bk 8, p 309. 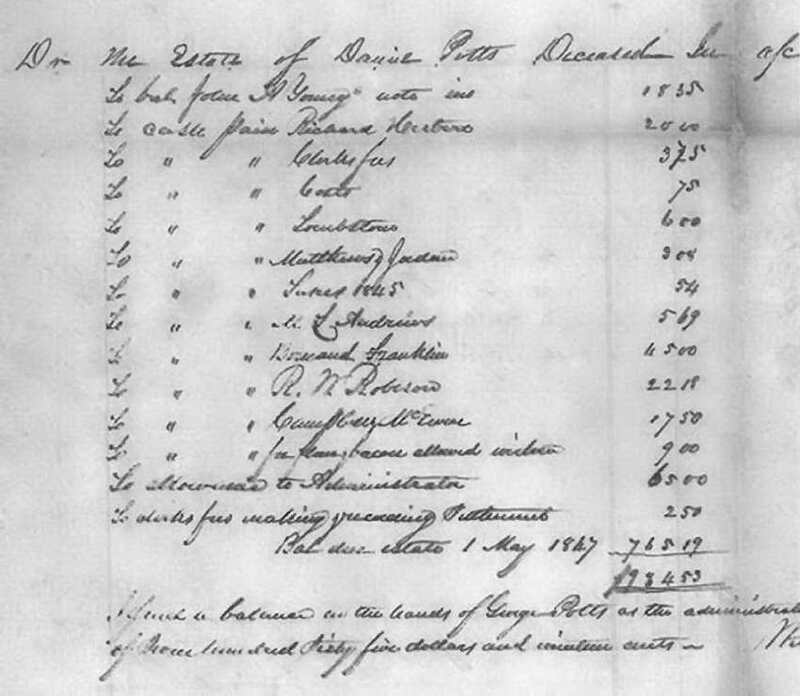 1 May 1847 - Daniel Potts Estate Settlement by George Potts Administrator (son of Daniel). 13 Nov 1848 - (Rutherford Co Deed Bk 3, p 714) Deed Richard Vaughan from George Potts widow and heirs (pursuant to Court Decree of Division) for 143 acres on waters of Stewart's Creek bounded by John Bush's original corner of a tract of 914 acres, Wm Hale, etc. 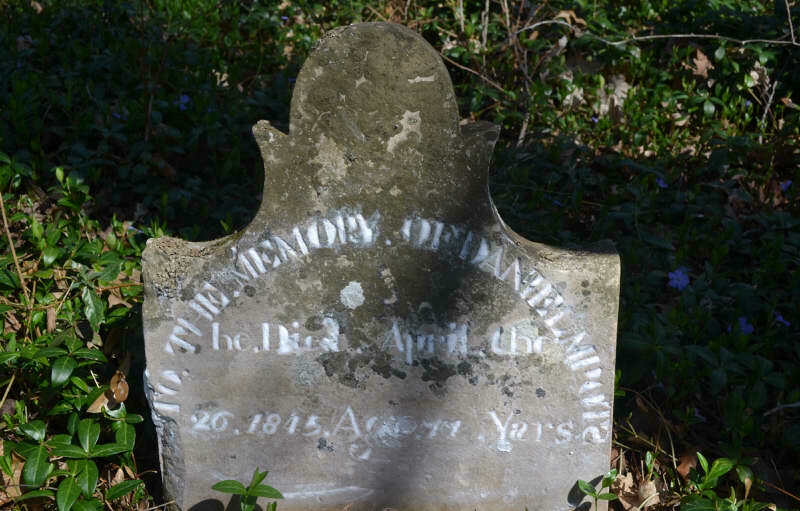 It is certain that this would have been part of the family of Daniel Potts, d 1845. In 1839 George Potts (would be son of George Washington Potts) purchased 155 acres similarly bounded by William Hails/Hale, selling same in 1840. Since George Washington Potts son and administrator of Daniel Potts did not die until 1869, the description of the above deed as recorded would seemingly be in error. Rather, this most probably should have read, "George Potts administrator of Daniel Potts dec'd Widow and Heirs, etc".